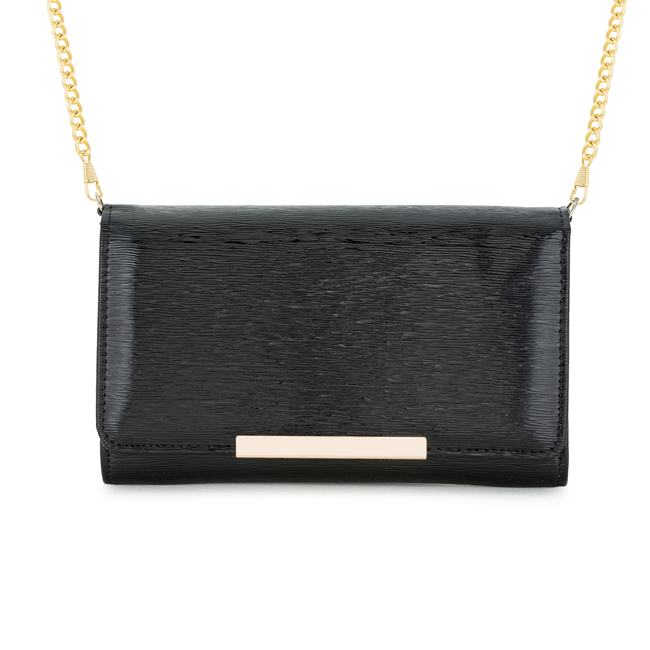 Black Faux Leather Clutch With Gold Hardware Button Closure Card Slot Inserts and Detachable 47 Gold Chain Strap. Textured Outer With Glossy Sheen. Gold hardware elevates this clutch from simple to sophisticated. Whether out to dinner or with a group of girlfriends this is the perfect accompaniment for a special night out! Comes with a detachable 47 gold chain strap. 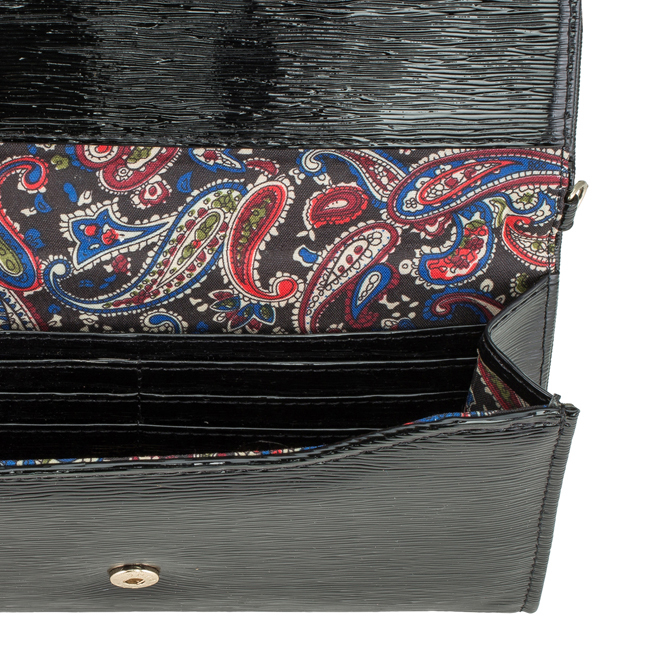 Our clutch selection is stylishly designed without sacrificing comfort. We offer different choices of fabric color and style. Browse our selection and you’ll definitely find your unique look.